In the new version you can refresh data on one page while working with other pages. 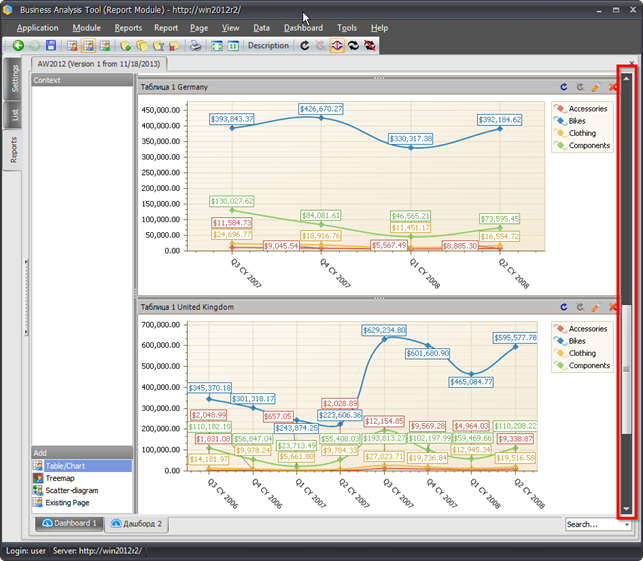 The dashboard can contain different kind of sheets inside it: tables, chart, treemaps or scatter diagrams. To construct a dashboard you can use either existing pages of the report, or you can create them from scratch. Dashboard has its own context which will be applied for every component. Each component can be edited separately. 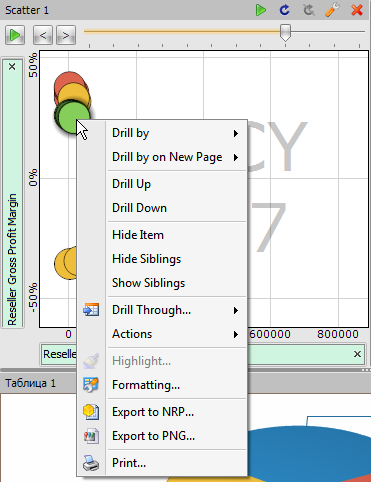 There is a possibility to export the dashboard to NRP, PDF, PNG. 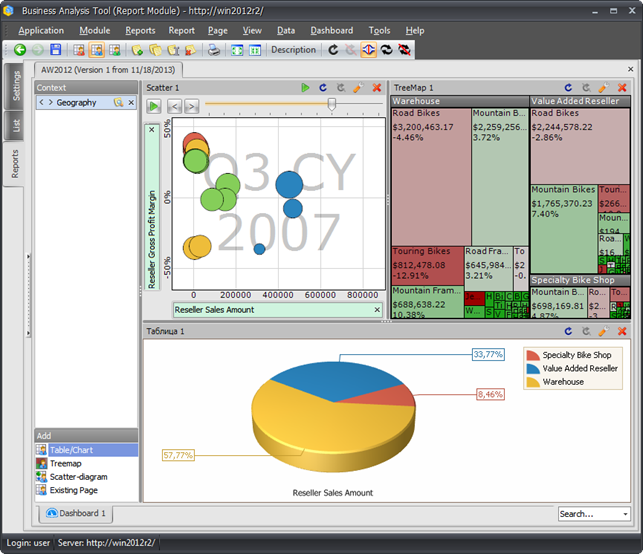 BIT Impulse - a software development company, a vendor of a proprietary BI system called "Business Analysis Tool".